I have always had a hard time swaddling either of my babies in a blanket. With my daughter I could swaddle her in a blanket most of the time but this year with my son I have not been able to swaddle him in a blanket successfully, not even once. So I started to buy swaddles for my son which almost immediately proved to make my life a lot easier when it came to swaddling him. I was very happy with my decisions until my son started to get stronger and started to be able to pull his arms out of the swaddle no matter how tight I could get it around him. That was until I got the Woombie Air baby swaddle. First of all I love the design that I got, the Boy Dots. So colorful and such a modern design. Second and most importantly this swaddle has been the only swaddle I have been able to keep my sons arms swaddled in. This is important because he can no longer wake himself up halfway through his nap by rubbing his eyes. I love how the swaddle has the vent at the top to improve air flow. We live down in Georgia and so it started getting warm down here around the beginning of March. With the improved air flow of the Woombie Air I didn’t have to worry about my son overheating during the night or even during his naps in the day, which I did worry about when he was wrapped in a blanket or one of the thicker swaddles. 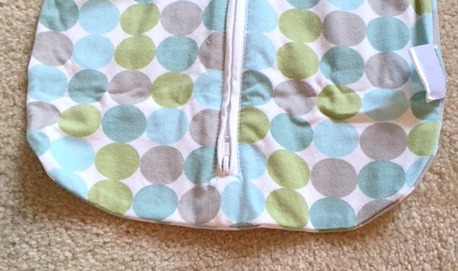 Another great feature is the button that is at the top of the swaddle. I love how the fabric covers the zipper so it won’t rub against my babies skin and I love how the button is plastic and not metal. The Woombie Air also has dual zippers, one at the top and one at the bottom, to make changing diapers not so much of a challenge. By just having to zip up the bottom zipper you won’t have to wake your baby up as much and you can easily close up without having to swaddle your baby all up again which can be a challenge when your baby has started to learn to fight back. My son may not love being swaddled, but it is a lifesaver with getting him to stay asleep for his full nap. Even my husband, who doesn’t usually get excited about baby products, commented on how much he liked the Woombie Air baby swaddle! Does this look like something you would like to have for your baby or maybe as a baby gift? If so you can enter to win one below! To enter the giveaway fill out at least one of the entries in the rafflecopter below. The giveaway is open to those who are 18+ and in the US only. The giveaway ends 6/6 at 11:59 pm EST and the winner will be contacted by email and will have 24 hours to respond or a new winner will be chosen. Good luck! Congrats to our winner Kayla Coleman! Kayla, you have been emailed and have 24 hours to reply or a new winner will be chosen! My favorite thing about the Woombie Air is that it zips up from the bottom so I could keep my son swaddled while changing his diaper in the middle of the night! I’d use this on my 10 week old! Congrats! My son was always scratching his face after getting out of his other swaddles but this one def kept him from doing that! The airflow feature so that the little one does not get heat rashes, and the dual zipper has to be a great feature too, since it will allow to change the little one if needed without disturbing much of his sleep. Great prize, thanks for the opportunity! The airflow is so important especially during the summer! 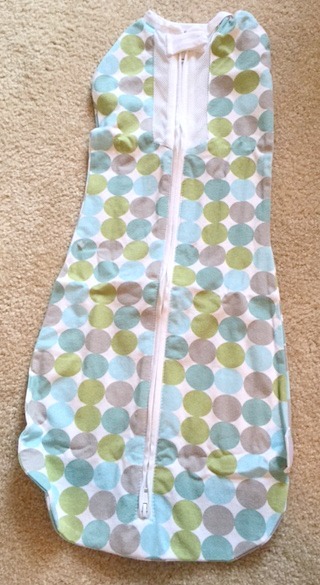 I love the design and the air flow..I would give to my best friend who has a baby coming in mid june. This would be the perfect baby shower gift! I like everything about it. I would keep it for myself, since I just had a baby a week ago. 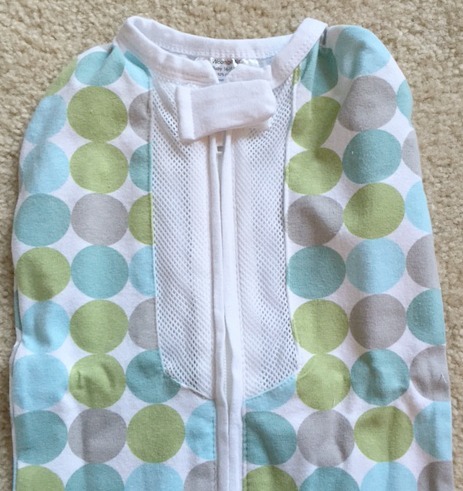 The dual zipper for easier diaper changing is amazing! Anything to make diaper changing easier I am all for it! I would definitely keep this if I won since I am due in 5 weeks with twins! I love everything about it 🙂 I would give it to my brother for my newest nephew! I like the dual zipper. That’s very handy. I would give this to myself, or rather my little one who is 1 week old. I like that it has 2 zippers one at the top and one at the bottom. If I am the winner I will gift this to my niece who is having her first baby in August.